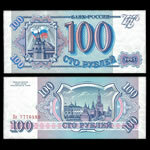 Falcon Coin and Currency specializes in Foreign Coins, World Banknotes, and Collectible Postcards. We are a Coin Collecting Store with Service to Collectors since 1945. Few Collectors and their collections are alike: your hobby deserves personalized service. At Falcon Coin & Currency, we strive to learn and understand the specific needs of every one of our customers as if they were our only customer. In this way, our highly experienced staff can supply you with the most custom tailored service possible. Whether you buy online, shop from our catalog, or via our Collector's Approval Services, we look forward to helping you get the most enjoyment from your hobby. New to our site? Try our Mail Order Collector's Approval Service for Coins, Banknotes, or Postcards. Just tell us what you like to collect. Our expert staff will build a selection of collectible coins, banknotes, or postcards tailored to your interests. We bring the Coin Store to Your Door. Can't find what you're looking for? Give us a call or write us an email any time. We would be honored to help you build your collection. Need to make a payment on your account?. Make an approval account payment right from our Web site. Visit our sister site, Jamestown Stamp Company for all your stamp collecting needs.